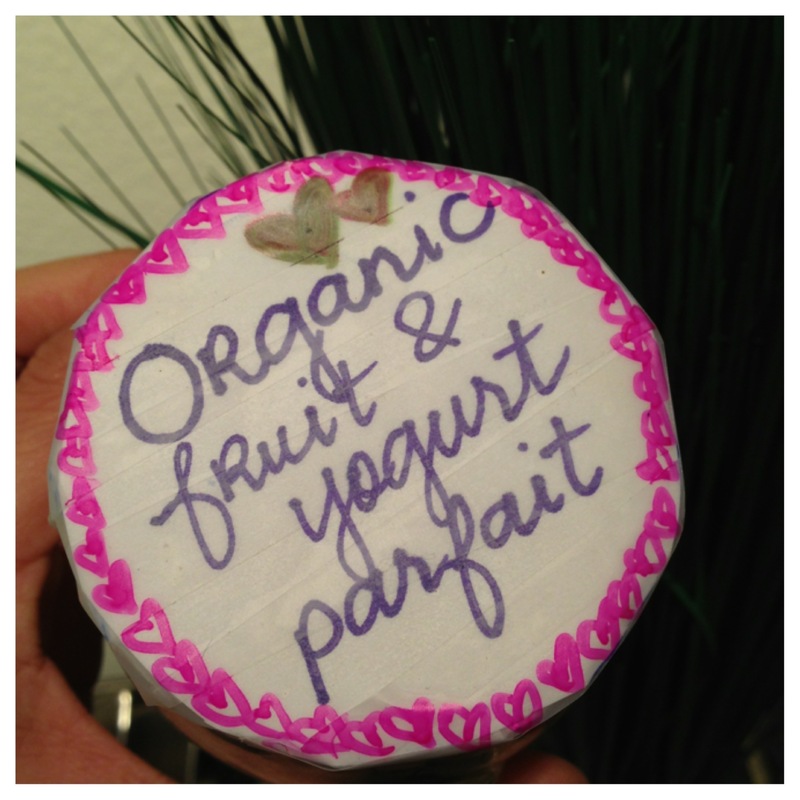 Fruit and Yogurt Parfait | Day in the life of a little lady with a life goal to inspire. I love finding new ways to recycle jars. 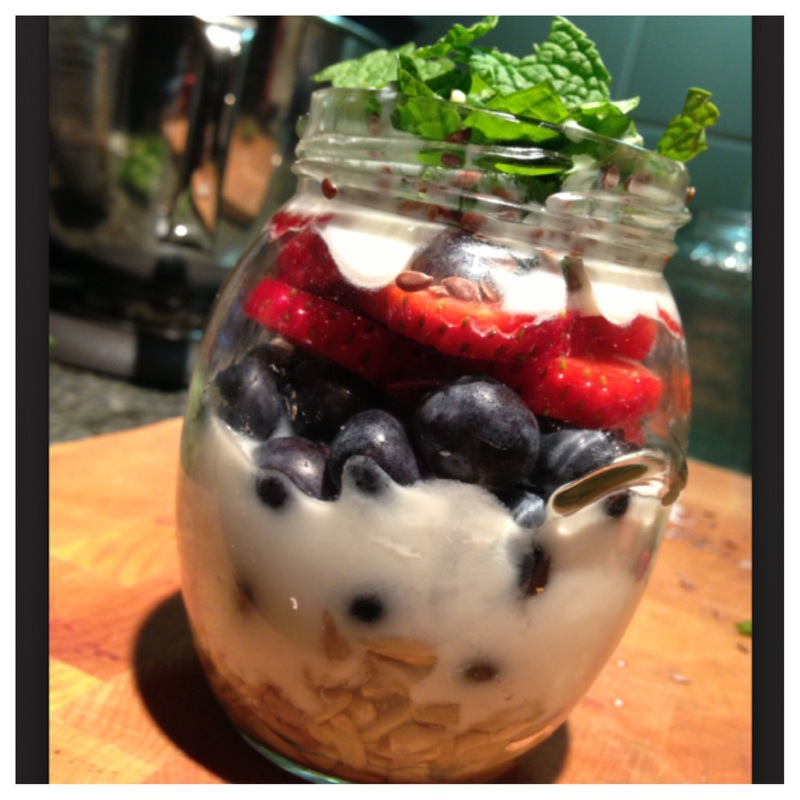 I also love creating simple and easy recipes that I can store in these “Mason” jars. 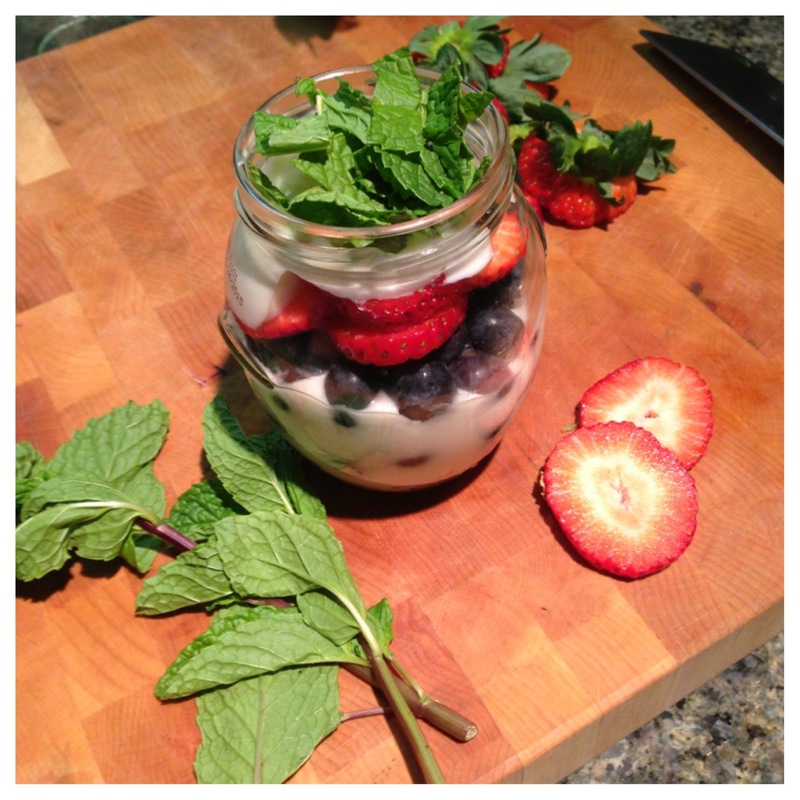 I decided to make a healthy parfait that you can have as a meal anytime of the day. 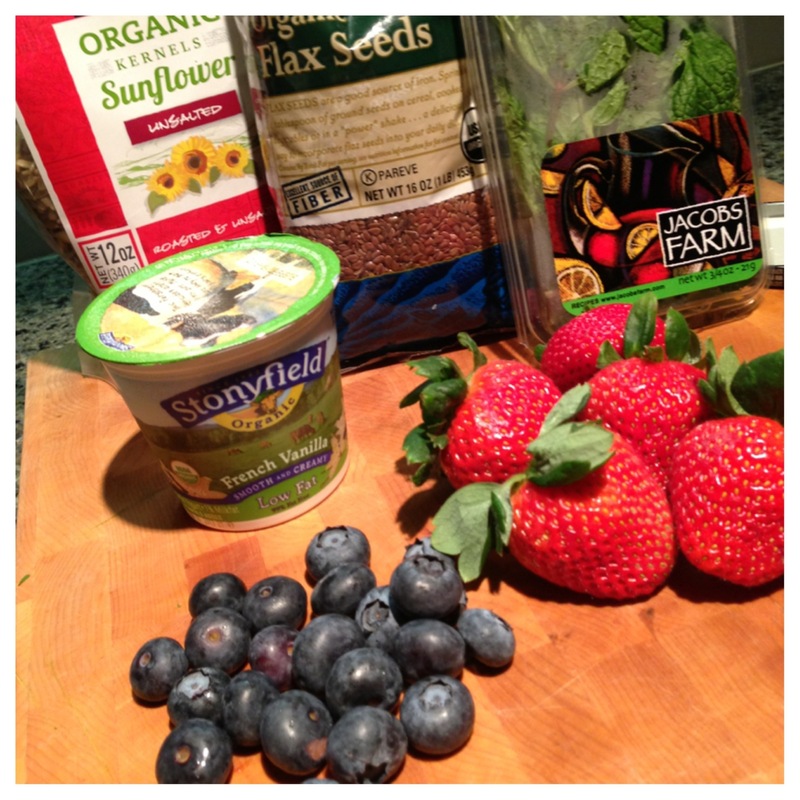 In this recipe I decided to use flax seeds. It is a good fat and contains fibers to help your digestive system. It’s a great source of omega-3 fatty acid. It’s a natural laxative and regulate your digestive system. It helps lower your cholesterol and are high in lignans; which protect against estrogen dependent cancers like breast cancer. *I choose to use organic products for this recipe. You don’t have to, but I prefer to use organic produce. I started with the sunflower seeds on the bottom as a base. Scoop in a spoonful or two of yogurt. Add the blueberries. Scoop in another spoonful or two of yogurt. Let it settle. Next, I added a layer of strawberries. 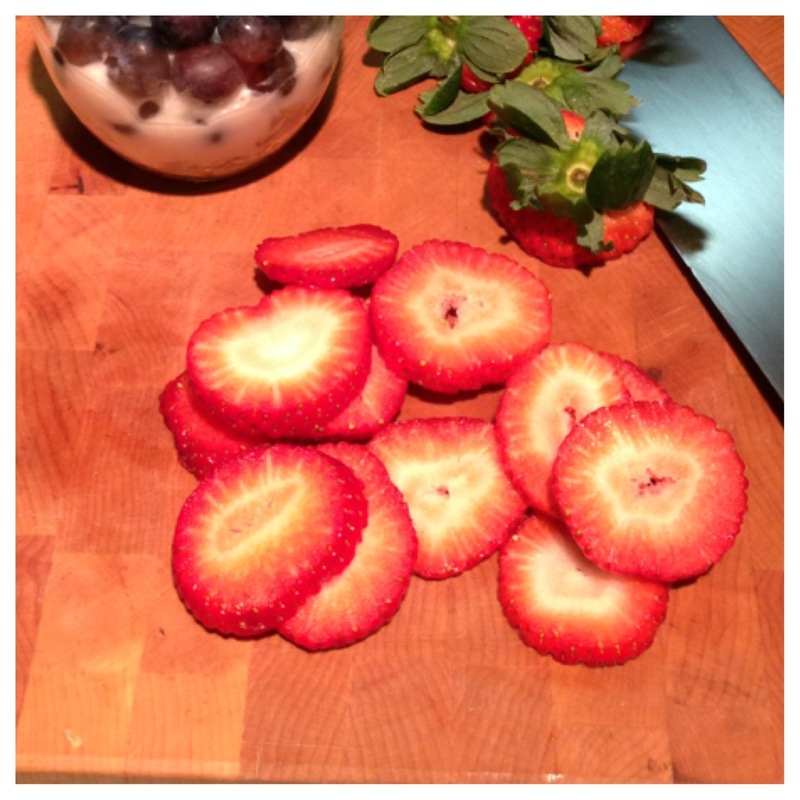 I like to cut the strawberries in thin chips because I like that its easier to layer. Then, add another spoonful of yogurt. 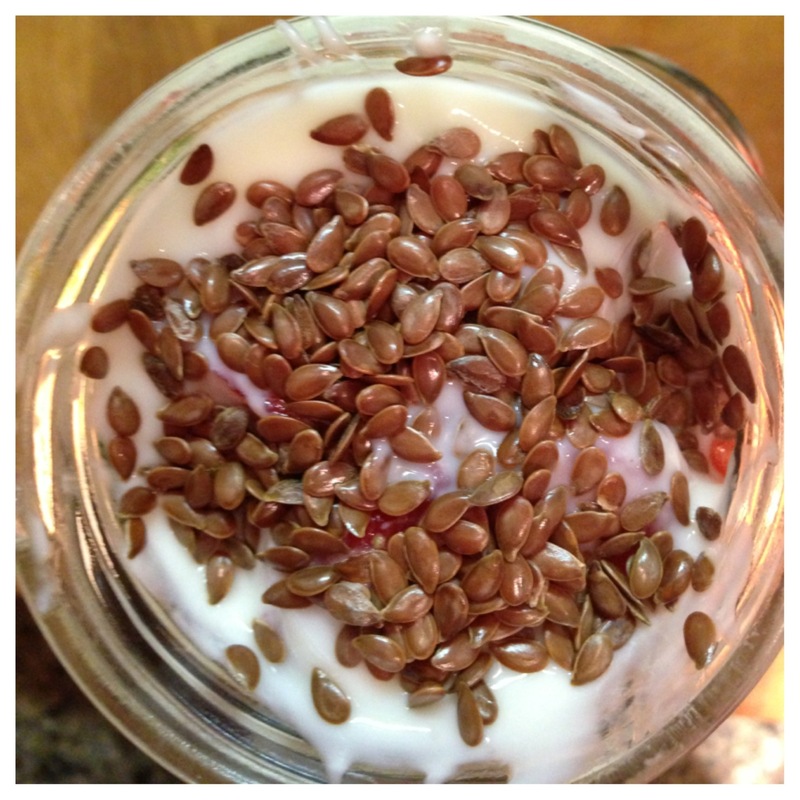 Sprinkle on the flaxseed. Its optional to add mint leaves. I love the flavor it gives to the sweet and tangy parfait. Done! Store it in your fridge for up to a week. It’s such a great meal on the go. Not only are you recycling, you are saving time and money. A handful of seeds/nuts a day are good for you. Replace bad fats with good fats. Your heart and health will thank you later ❤ cheers to a happier and healthier lifestyle!